A pharmaceutical sales manager, wants to send product listing info in his sales team group on Kaizala, whenever he receives an email from the regional sales office. A Teams admin would like to save all attachments sent in a Kaizala Group to the Team's SharePoint site. A shop owner wants to receive an email for each sales response he gets on his surveys, sent to his customer group on Kaizala. A Kaizala admin account, an account on flow.microsoft.com and your Office 365 username and password. 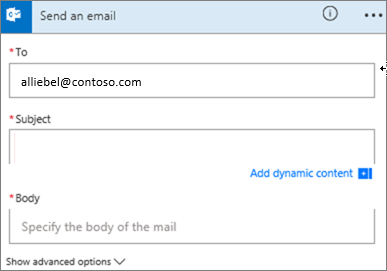 In flow.microsoft.com, select My flows in the top navigation bar, and then select Create from blank. Click on Search hundreds of connectors and triggers. 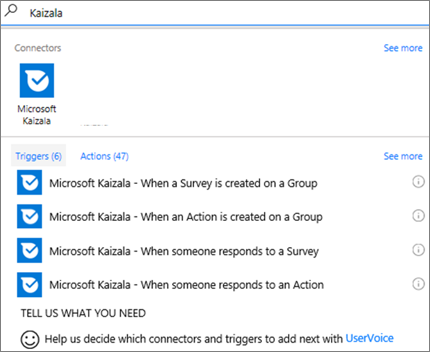 On the Search all connectors and triggers page, type Kaizala, and then select Microsoft Kaizala - When someone responds to a survey. If you haven't already connected your Kaizala account to Microsoft Flow, select Sign in to Kaizala, and enter your Kaizala admin username and password. On the Group page, select the group in which the survey has been posted. 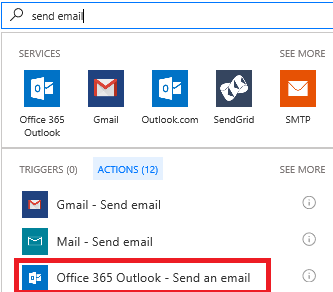 On the Search all connectors and actions page, type send email, and then select Office 365 Outlook - Send an emailIf you're prompted, sign in with your Office 365 global admin account. On the Send an email page, type your email address in the To field and select your name from the list. In the Subject field, type New Response from, press the spacebar. Select Responder Name from the list of tokens, to add a placeholder for it. In the Body field, click Response Title token to add a placeholder for it. 8. You can add more tokens, other content, or both to the body of the email. At the top of the screen, name your flow, and then select Create flow. Select Done to update the list of your flows. Post a response in the survey that you created in the selected group. Within a minute, an email message notifies you of the new survey. 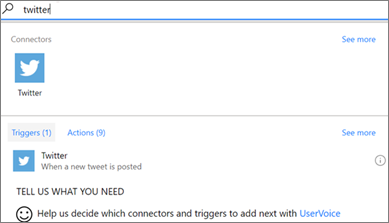 On the Search all connectors and triggers page, type Twitter, and then select Twitter - When a new tweet is posted. If you haven't already connected your Twitter account to Microsoft Flow, select Sign in to Twitter, and enter your Twitter username and password. In the Search text field, type the keyword you want. 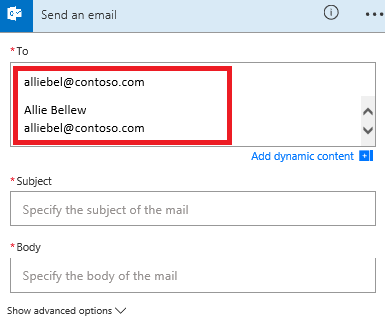 On the Search all connectors and actions page, type Kaizala, and then select Microsoft Kaizala - Send a messageIf you're prompted, sign in with your Office 365 global admin account. On the Send text message to a group page, enter the group name and the message that you want to send. Send a tweet with the keyword that you indicated. Within a minute, a message notifies you of the new tweet in the selected Kaizala group.